- Helps prevent sunburn. - Sun Protection Factor 50. - Retains SPF after 80 minutes of activity in the water or perspiring. if skin irritation or rash develops. - Adults and children six months of age and older. Apply Liberally to all exposed areas 10 minutes before sun or water exposure. - Ensure complete coverage. - Reapply after prolonged swimmimg and towel drying. - Give particular attention to coverage of arms and legs. - In water infested by Sea Lice, Safe Sea should also be applied under the bathing suit. Jellyfish can be dangerous. 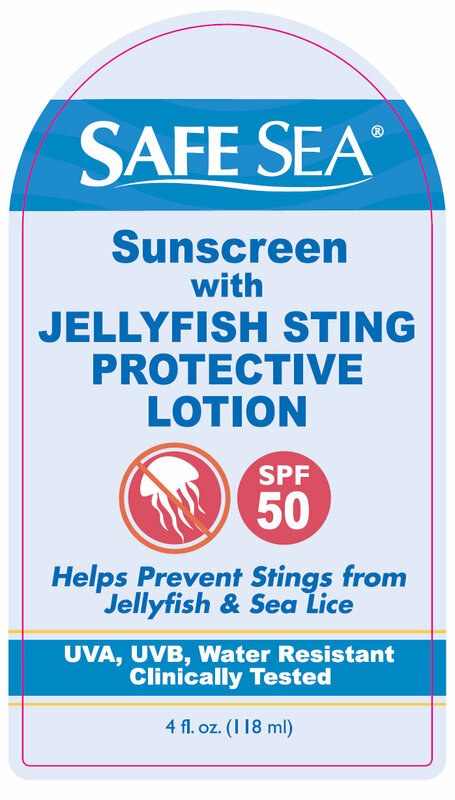 This product should not be considered a recommendation to go into jellyfish infested water, nor is it a guarantee against stings. - In case of sting do not use Safe Sea as a treatment - seek medical attention. 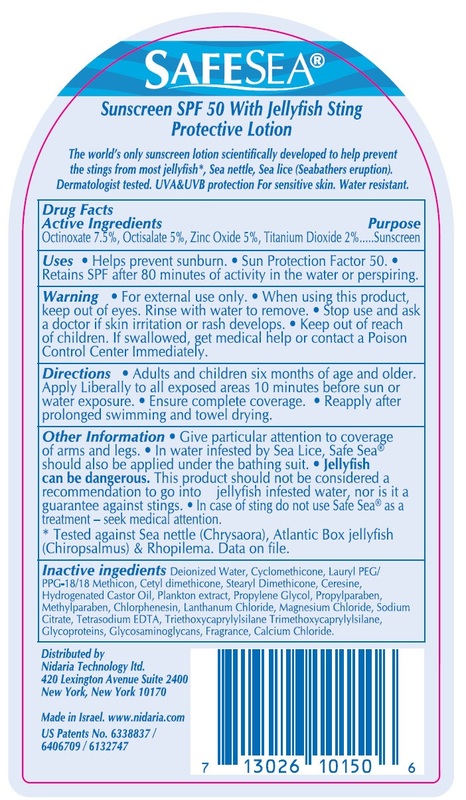 * Tested against Sea nettle (Chrysaora), Atlantic Box jellyfish (Chiropsalmus) and Rhopilema. Date on file. Deionized Water, Cyclomethicone, Lauryl PEG/PPG-18/18 Methicon, Cetyl dimethicone, Stearyl Dimethicone, Ceresine, Hydrogenated Castor Oil, Plankton extract, Propylene Glycol, Propylparaben, Methylparaben, Chlorphenesin, Lanthanum Chloride, Magnesium Chloride, Sodium Citrate, Tetrasodium EDTA, Triethoxycaprylylsilane, Trimethoxycaprylylsilane, Glycoproteins, Glycosaminoglycans, Fragrance, Calcium Chloride.